I haven’t had time for much posting lately, alas, so this is just a quick grab-bag post. First, many thanks to my new co-blogger Nick for picking up some of my slack. When things are a little slow around here, remember you can always go to his site, Existential Ennui, for great stuff on other (but often related) topics. Of course, you don’t have to wait until things are slow around here. Pictures keep coming out from the set of the upcoming Parker movie. I’ve tweeted some of them, but I’m going to stop because this isn’t a Hollywood gossip site and some of them are getting into spoiler territory, a territory I try hard to avoid. From what I’ve picked up from seeing lots of these, the film is a good bit closer to the source material (Flashfire) than many of us had feared. Here’s a quick (40s), spoiler-free clip of Jason Statham talking about working with J-Lo on the movie. He seems genuinely excited about it. 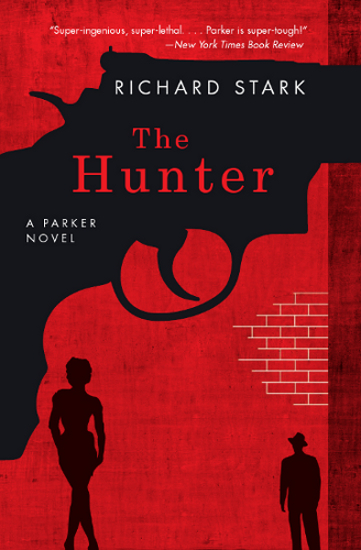 Finally, University of Chicago Press has expanded its Parker e-book promotion. The Score (#5) is free until the end of September, and now three of the first four are available for Kindle for only $2.66 each (I don’t know the timeframe, but assume it’s the same). Get ’em while they’re hot. Well, they’re always hot, so get ’em while they’re cheap. They are The Hunter (#1), The Man with the Getaway Face (#2), and The Mourner (#4). Spring for The Outfit (#3) at $8.99, and you’ve got the first five Parkers for $16.97, or about $3.40 per book. Score. without giving any spoilers, they did change some stuff in the script, the characters are all the same than in Flashfire, names and personalities are the same, but some of the situations are different also it’s basically the same story and there is more character development for Claire than there is in the book. Thanks so much Ella! Obviously you are involved in the production in some capacity and it’s such a relief they are sticking pretty closely to the book. Actually I can find some things to like about all the movies except Made in USA. I watched about twenty minutes of that one and had to shut it off out of anger and frustration. I haven’t seen the film of The Score, but from the stills, it looks interesting. Constantin has that menacing look I’ve always imagined on Parker. As everyone else who visits this site, though, I am anxiously awaiting the definitive filmed Parker experience. I’m not involved in the production but I was given a portion of the script, I like what I read and think there is one big change that didn’t actually bother me but might bother others but then the film need more than a good script it has to be well directed and acted.